I didn't know that Rock & Roll was going to end the Cold War, but I thought it might warm things up. Rock & Roll is freedom, and every young person wants to be free! It really was one of the great cultural exchanges of the 20th century! (Interview subject) Jimmy Carter was the first Rock & Roll President. He not only was aided by rock stars in his political campaigns for governor and the presidency, but he became friends with the musicians, and then implemented rock music and its stars as a soft power tool of his foreign policy and cultural diplomacy programs. Amidst the height of the Cold War struggle with the Soviet Union, as missiles on both sides were armed and ready to fire on a moment’s notice, Carter employed rock music as his new weapon. In 1977, he sent the Nitty Gritty Dirt Band on tour of the USSR. Their 28 concert tour, exposed Soviet youth – many for the first time, to the liberation of freedom to express oneself. Once you open the door to freedom, it’s difficult to stop it and keep it from spreading. In the film, President speaks with pride in using American culture to weaken the communist system, while acknowledging that Rock & Roll was a contributing factor to the collapse of that Soviet system. 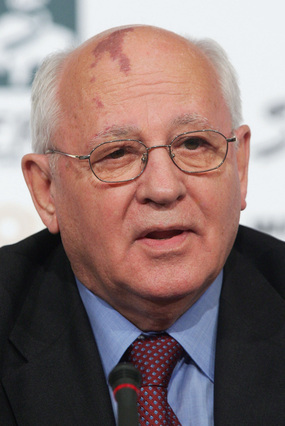 Mikhail Gorbachev was a new generation communist leader of the USSR. He worked with Soviet youth for years and had embraced Rock & Roll from Elvis to John Lennon, and from the Scorpions to the emerging Soviet rock artists. He made a bold decision to create `openness’ with his Glasnost and Perestroika reforms in 1986, which allowed the Soviet teenagers, for the first time, to feel liberated through their love for rock music. He also allowed the nation’s beloved underground rock bands to move their performances from school gyms to large stadiums and their recordings to the radio airwaves, while permitting them – for the first time, to be paid for their concerts and record sales. Gorbachev worked hard with President Reagan and Prime Minister Thatcher to reduce missiles and nuclear weapons and to reduce the harsh and dangerous rhetoric of the Cold War Brezhnev years. However, historians have argued that once he opened up the levers of personal freedoms behind the Iron Curtain, it was impossible to restrain them and keep his citizenry working within his new communist system. Under his watch: in 1989, the Berlin Wall fell; Eastern Europe’s communist governments collapsed in 1990; and on Christmas Day 1991, he finally ordered the Hammer & Sickle flag of the Soviet Union to be lowered from the Kremlin for the last time, as the Soviet empire, the world’s largest and perhaps the most powerful military armada in history, imploded without a military war. In the film Gorbachev relates that in the end, words were more powerful than bombs in ending the Cold War. Billy Joel had been one of America’s most popular rock stars for fifteen years when he decided to finance a full stadium production tour of the Soviet Union and film it. An ardent student of Cold War history and of the power of music to cause change in societies, he felt that he had to try to create a cultural bridge to the youth of the USSR with his Rock & Roll Music. In 1987, at a personal cost of more than $1,000,000, Billy brought his entire stadium production to the USSR. No Soviet had ever seen such a production, and Billy was the first rock superstar allowed to perform in such an electronic production. At this time, Gorbachev's Glasnost reforms had only been in effect for one year, and these concerts could not have been made possible without his personal consent. Fully aware of the historic time period he was living, Billy speaks articulately and passionately in the film of his tour of the Soviet Union, of the Cold War and of the power of Rock & Roll to change the hearts and minds of teenagers the world over. He believes this tour was the most important moment of his career. In the film, we also have the opportunity to hear Billy performing Dylan’s “Times Are A’Changin’” at a Leningrad television studio, and “A Matter of Trust” before 20,000 ecstatic fans in Moscow. West Germany’s most famous rock band, Scorpions was formed in 1965. They always wrote and sang their songs in English, and by the late 1970s, had become one of the most popular heavy metal groups in the world, with virtually every album going Platinum or Gold. After Glasnost came into effect, they began touring the Soviet Union in 1988. The following year, they co-starred in the heavy metal star-studded “Moscow Music Peace Festival” at Lenin Stadium in Moscow. In 1990, after the Fall of the Berlin Wall, the Scorpions appeared with Roger Waters and an All-Star cast of international rock stars in his historic film and “Wall Concert in Berlin,” which was staged and produced on the field that had been the No-Man’s Land between East and West Berlin where so many East Germans trying to escape to the West had been killed. Based upon the Scorpions’ experiences of rehearsing, interacting and jamming with Stas Namin at his Gorky Park studios in Moscow, the band’s lead singer, Klaus Meines, wrote “Wind of Change,” which in 1991, would become the anthem for the end of the Cold War, and the #1 best-selling record in the world. The band then asked Stas to write the Russian language lyrics for their Russian recording of the song. Just eleven days before the collapse of the Soviet Empire, Mikhail Gorbachev hosted the Scorpions and Stas Namin at the Kremlin. Hermann Rarebell, who had been the drummer, songwriter and 2nd vocalist in the band from 1977 to 1996, is seen in the film, recounting passionately his recollections of: appearing with the Scorpions in the Soviet Union; his feelings when the Berlin Wall fell; appearing in the “Wall Concert in Berlin;” the “Wind of Change;” and of meeting with Gorbachev at the Kremlin in the final days of the Cold War. In August of 1991, as communist hard-liners kidnapped Soviet President Mikhail Gorbachev, and were attempting a Coup d’Etat, the entire world watched the stand-off between the military and the freedom loving citizens in streets of Moscow on their TV sets. Among those watching from Los Angeles, was Mark Ross, an artist manager, producer and concert promoter, and son of Steve Ross, the CEO of Time Warner and Warner Communications. Once Mark learned that the Coup failed and Gorbachev was returning to Moscow, he deeply felt that the young people of the USSR needed a gift….something that would bring them desperately needed joy in their lives. He then arranged the financing for the millions of dollars required to bring a full heavy metal concert production of Metallica, AC/DC, Pantera, and The Black Crowes to Moscow and organized a free concert at Tushina Airfield outside the city. It only required one Moscow radio announcement, the day prior to the September 28th event, in order to attract one of the largest concerts audience in history. The Russian heavy metal band, E.S.T. was added to the line-up, and on that day, the Russian fans of rock music received one of the biggest and most liberating treats in history. Even the military personnel, who had been assigned to keep order at the concert, threw off the caps and jackets and began partying with the revelers -- estimated to be between 1,500,000 and 3,000,000 people! In a country, where rock music had been prohibited for decades, and only a handful of youth in the 1950s were able to hear and embrace Rock & Roll as the first `Sound of Freedom,’ this concert event showed how the soft power of culture – the power of Rock & Roll, over time, was able to cause immense change to a totalitarian society. In the film FREE TO ROCK, Mark Ross passionately speaks of the events leading up to and during this concert, as we then see Metallica performing “Enter Sandman” before the millions of ecstatic and celebratory youth. After trillions of dollars of military armaments were expended between the U.S. and Soviets during the Cold War, just eleven weeks after this concert, the Soviet Empire imploded, without a military war. Since their formation in the early 1960s, the Beach Boys were the only American band to be considered a rival of the Beatles. No American rock band had ever played behind the Iron Curtain. Prior to the Beach Boys making their historic trip to Czechoslovakia in 1969, they had recorded a series of broadcasts to the Czech youth for Voice of America, to let the youth know they were coming. There is no documentation explaining why the Czech government allowed the band to perform in the country, just months after the Soviet invasion snuffed out their citizens’ “Prague Spring” cultural affirmations. However, one can assume that the communist government determined that bringing an older group of happy harmony singing surfers from California, who didn’t share the rebellious image and sound of modern hard rockers, such as the Rolling Stones, would be a safe choice as a means to pacify their youth still in shock from the Soviet invasion and the loss of their freedoms. What they weren’t prepared for is that the Beach Boys had also changed with the times. They now played many of their newer songs with a stronger rock sound, they sported long, shaggy hair, and were dressed like hippies. The Czech communist government also didn’t understand their youth’s special soft power attraction to the imagined lifestyle of these California surfers. Meanwhile, the Beach Boys also weren’t prepared for what they would experience when flying behind the Iron Curtain for the first time – witnessing hundreds of Soviet tanks and fighter jets positioned on either side of their plane upon landing in Prague. But when the Beach Boys reached the center of the capital to their hotel they were joyfully mobbed by thousands of adoring fans pleading for autographs. The following night at the Prague concert, 4,000 fans squeezed into a theatre that seated 3,000. After learning that Alexander Dubcek, who had been deposed by the Soviets as the leader of the nation, was in the audience, Mike Love of the Beach Boys announced that they would like to dedicate the next song to Mr. Dubcek. They then proceeded to perform “Break Away” as the crowd went nuts! Mike Love and Bruce Johnston of the Beach Boy, later recalled when being interviewed in FREE TO ROCK, that the show in Prague was the hottest rock concert they ever experienced – emotionally and heat wise, and the most important of their career. The U.S. government considered the Beach Boys tour of Czechoslovakia to be a rousing success. However, it would be eight years before another American band would be allowed behind the Iron Curtain. In 1964, America experienced an unexpected invasion. It didn’t come from the Soviets, but from Great Britain! The “British Invasion” brought new life and competition to American Rock & Roll. Less than two months after the release of the Meet the Beatles album, the Liverpool band, made up of John Lennon, Paul McCartney, Ringo Starr and George Harrison starred on the Ed Sullivan Show, and drew the largest TV viewing audience in history! Not since the Presleymania hysteria eight years earlier, had America’s youth been taken by such a tidal wave. 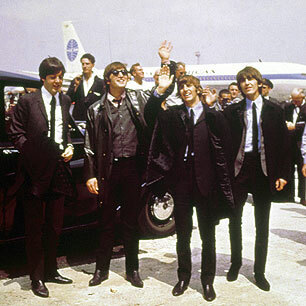 By the time the first Beatles’ movie Hard Day’s Night was released, followed by its’ chart topping soundtrack album and its’ number # 1 hit title song, Beatlemania had taken over America. And by the end of the year, the band scored an unprecedented nine # 1 hit singles. As the British re-captured America, they began taking over the world with their hits, “I Want To Hold Your Hand,” "She Loves You," "A Hard Day's Night," "Love Me Do," "Please, Please Me," "Twist and Shout," "Can't Buy Me Love;" "Do You Want to Know a Secret" and “I Saw Her Standing There.” Within a year, the Kremlin, even with their 2,500 radio jamming stations positioned on their European borders, still couldn’t stop the onslaught. Whereas Eastern Europe and the Baltics had embraced the rhythmic, raucous and rebellious feel of Rock & Roll for many years and used it to fuel their independence movements, it was still too culturally foreign to the Slavic peoples of Russia. However, The Beatles with their harmonic vocals and classical music arrangements, immediately grabbed the souls of the Russian youth. Underground Moscow bands, such as Skiffy and the Slavs, who played Beatles music immediately attracted a big fan base, including two young Moscow teens, Anastas Mikoyan and Andrey Makarevich. In the film FREE TO ROCK, The Beatles are shown performing “Twist & Shout” on the Ed Sullivan Show in 1964, and are spoken of with heart-felt passion and reverence by Russian rock superstar Andrey Makarevich. On January 26, 1956, RCA Records releases their first Elvis Presley single, “Heartbreak Hotel.” Presley’s sound, rebellious persona and unbridled sexuality explodes in an unprecedented fury with America’s youth as the song reaches #1 on the Pop charts. Adult America and local government officials are shocked, outraged, and immediately try to censor Presley and his Rock & Roll revolution before it gains steam. However, before the censorship can gain control, Elvis counters their efforts with more #1 hits, including “Don’t Be Cruel,” “Hound Dog” and “I Want You, I Need You, I Love You.” Meanwhile, he creates a sensation when starring in his first Hollywood film, Love Me Tender, while topping the charts again with its title song. Almost as quickly as his recordings hit the top of the U.S. charts, they begin to dominate the radio charts of every country in the world. By August, as his recordings of “Hound Dog” and “Don’t Be Cruel” cause a rage of Presleymania in West Germany, the American, British and German radio networks begin beaming these recordings across the Iron Curtain. Before the year ends, Presley’s voice and image has detonated like rocket-launched nuclear bombs in the communist controlled territories of East Germany, Poland, Czechoslovakia, Hungary and the Soviet Baltic republics. Their youth embrace Elvis and his music, while believing it carries the message of freedom. A youth revolution begins in these countries that can’t be contained. In 1958, U.S. Army Private Elvis Presley is shipped to West Germany, and for the first few months of his duty, he is stationed just thirty kilometers from the Iron Curtain. Every day, the radio stations from Western Europe, including the CIA directed Radio Free Europe, broadcast Elvis’s daily activities to the oppressed youth imprisoned behind the walls of the Iron Curtain. By 1960, the East Germany communist press labels Elvis Presley, “Public Enemy # 1!” In the film, Elvis is seen performing one of his early hits, “Blue Suede Shoes,” and also shown while in the army, stationed in West Germany. In 1977, President Carter, at the urging of his son Chip, chose to send the Nitty Gritty Dirt Band, as the first electric rock band to tour the Soviet Union. Prior to this tour, the Soviet audiences had only ever seen a few American jazz groups, like Benny Goodman and Duke Ellington, plus solo folk artists like Paul Robeson, Pete Seeger and Odetta, and the acoustic country band of Roy Clark. But electric rock acts were forbidden. The State Department, spearheaded by their cultural attaché in Moscow, Dave Hess, convinced the Soviets that the Dirt Band played America’s folk music and that they can’t be denied. They didn’t tell them however, that they also played hard roots Rock & Roll…and played loud. The KGB was frantic when twelve-foot high PA speakers were unloaded from the airplane, and the rock-starved fans went crazy when they heard them. The band played 28 sold out concerts in the republics of Georgia, Armenia, Latvia and Russia, including a television concert special from Moscow, viewed by 140,000,000. While in Latvia, they connected with the outlawed rocker, Pete Anderson, resulting in 35 year friendship between Pete and the band’s string wizard John McEuen. In 2011, Pete is reunited in concert with the Nitty Gritty Dirt Band in Kansas, which is captured in FREE TO ROCK. Meanwhile, John McEuen and the band’s lead singer/lead guitarist Jeff Hanna, offer delightful and insightful commentary in the film of their historic experiences behind the Iron Curtain. Two years after the Nitty Gritty Dirt Band toured the USSR, Elton John was invited to play in Moscow and Leningrad. BUT, he was only allowed to sing and play an acoustic piano and be accompanied only by a percussionist playing tambourines and shakers. No electric instruments or rock drums were allowed. Stas Namin, a brilliant lead guitarist, songwriter and producer, formed the Soviet rock band Flowers in 1969. Four years later, Flowers became the first unofficial Soviet group to release a record in the USSR for the government controlled label. Up till that time, Soviet teenagers had never heard an original Russian language rock song. They clamored to hear and buy Flowers’ record, and it sold 5,000,000 copies. The following year, the government allowed them to record another song. It sold 7,000,000! However, the government then got nervous and banned the group for promoting an anti-socialist hippie life style. For the next twelve years, Flowers would go through short periods of being legal, followed by long periods of being blacklisted – depending upon the change of leadership in the Kremlin and the cultural crackdowns imposed by each regime. During these years, Stas became a prolific songwriter, an accomplished musician and producer, and the premier organizer of rock music in the USSR. Born Anastas Mikoyan, Stas was the grandson of the revered Soviet leader of the same name. However, when he began his career in music, he created the professional name of Stas Namin, so no one would think he was using the family name to get ahead. From that point on, he knew his life, for better or worse, would be involved and fated with Rock & Roll. After Gorbachev came to power and instituted his Glasnost reforms, Stas would become the single most important figure in Soviet rock history. In 1989, he co-produced with American music manager, Doc McGhee, the “Moscow Music Peace Festival” at the city’s 100,000 seat Lenin Stadium, with Motley Crue, Bon Jovi, Scorpions, Ozzy Osbourne, Skid Row, Cinderella, and a new band Stas was managing, Gorky Park. It was the first time hard rock bands from the West and East were allowed to perform together in a Soviet concert. Meanwhile, he secured the rights to open the Stas Namin Centre in Moscow’s Gorky Park, which included an amphitheater, rehearsal, film and recording studios, and a theatre with a full-time professional theatre company. It was the only place in Moscow where unofficial, underground bands could congregate and share music. And it became a center where stars and famous rock bands from the West, such as Billy Joel, Frank Zappa and the Scorpions would come to meet and jam with Soviet rockers. Subsequently, Stas arranged for the Scorpions to be hosted by President Gorbachev at the Kremlin – just eleven days before the collapse of the Soviet Empire. This was the first time, rock music and rock artists were allowed in Kremlin, the house of communism that had forbidden rock music for so many decades. Today, Stas still operates the Stas Namin Centre, while continuing being active as a producer of theatre, film, concerts and recordings. He also is a respected photographer, author, professor at the university, and Chairman of the Moscow Symphony Orchestra. Stas is an Advisor to FREE TO ROCK, along with being a Producer and an Executive producer. And, as a key interview subject in the film, he not only speaks of his personal story, but makes astute observations on the entire Cold War era and of the decades-long struggle between Rock & Roll and the Kremlin over its citizens’ rights to achieve personal freedoms in the Soviet Union. The opening and closing scenes in the film are of a concert performance in Moscow to promote freedom in Russia. It was produced by and starred Stas, along with his band Flowers, and it guest starred many rock stars of the Soviet and Russian era. Free to Rock features Presidents, diplomats, spies and rock stars from the West and the Soviet Union who reveal how Rock & Roll music was a contributing factor in ending the Cold War. NPR recently did a program called "Rockin Behind the Iron" which features Stas Namin (also Producer of the film) and Andras Simonyi, two of our interview subjects. You can hear Andras at the 15 minute mark in hour 1, and Stas at the 40:40 mark in hour 2. While in high school, Andrey’s guitar teacher and mentor was Stas Namin. In 1965, he, like millions of other Russian youth, fell in love with the sound of The Beatles. He learned to play and sing every song from The Beatles’ first albums. In 1969, Andrey, as lead singer and songwriter, formed his band TIME MACHINE. Beginning in 1975-76, the band’s illegal homemade tapes, started getting duplicated by their fans, who then shared the tapes with their friends…who duplicated more… until millions were distributed across the country. However, they weren’t allowed to make any money from any music endeavors, since they were not an `official’ Soviet band. Finally, in 1980, during the Cold War thaw that accompanied the Moscow Olympics, Time Machine was allowed to release official records and be paid modestly for live performances, such as a 32 consecutive sold out run at a 10,000 seat arena in Leningrad! Their record, “Turning Point” would stay # 1 on the charts for eighteen straight months, and Andrey would write the soundtrack for the most popular Russian film of the year. However, by 1982, with new cultural crackdowns by Brezhnev’s regime, the metaphoric meanings of Andrey’s lyrics came into question, as the Ministry of Culture thought they may be anti-socialist. Accordingly, Time Machine was blacklisted from performing and recording. Fortunately, with the arrival of Gorbachev, Time Machine was allowed to record and tour the world freely. For more than three decades, Time Machine has been revered as the most popular rock band of the Soviet and Russian eras, with Andrey as its star performer and songwriter, who hosts his own television show and has his paintings and sculptures in galleries across Russia. As a firm believer in freedom and justice, Andrey has come under fire from certain groups in Russia today for his public stance against Russia’s incursions into Ukraine and Crimea. Andrey is an important voice in FREE TO ROCK, he speaks passionately about his music, about The Beatles and Time Machine, and how Rock & Roll means Freedom to the youth of the world. Pits “Pete” Anderson’s career in Rock & Roll began in 1959, when he played the piano with a college jazz band and sang forbidden American songs, such as Little Richard’s “Long Tall Sally,” and a few Fats Domino and Elvis songs. His life would never be the same again. His love of performing an alien music from America was considered a threat by the communist government, and he was arrested a dozen times over the next thirteen years in an attempt to stop him from influencing Latvia’s youth with the freedom-inspiring Rock & Roll music. In 1966, he led his band, the Melody Makers, in their “Free the Guitar” demonstration -- the first mass protest in the history of the Soviet Union. In 1972, the lives of Pete’s family were threatened by the KGB if he didn’t stop performing Rock & Roll. With great sadness he had to give up his life passion. However, more than a decade later, after the arrival of Gorbachev and his Glasnost reforms, Pete was allowed to begin rebuilding his life as a musician and singer. With a new band, he not only began touring the major venues and festivals in Latvia, Lithuania, Estonia, Russia and Poland, but he received permission to perform on other side of the Iron Curtain -- in Western Europe. In 1989, he was invited to perform at the major Brean Sands Rock & Roll festival in England and experienced a life-long dream of sharing the stage with Bill Haley’s Original Comets. A BBC film crew documented the festival for a 1990 film release with Pete as one of the featured voices in the film. After Latvia achieved its independence, Pete released records, made music videos and toured regularly with no government restrictions. In 1993, Pete was hired by Academy Award winning filmmaker Paul Haggis, as the music and historic consultant to his Hollywood film Red Hot, whose story followed the origins of Soviet Rock in Latvia. Finally, in 1997, Pete realized another lifelong dream, when FREE TO ROCK producer Nick Binkley invited him to record in the USA. This led to several concerts across America, in the original home of Rock & Roll and Rockabilly music – the music Pete fell in love with as a boy. Over the last decade, Pete’s legend grew as the Father of Rockabilly Music in Europe. In 2006, Latvian honored Pete with his own postage stamp. In 2009, his album Brass-A-Billy, was awarded “Best Rockabilly Album of the Year” at the JPF Music Awards in Nashville, Tennessee; and on May 4, 2011, the government of Latvia honored Pete with the nation’s highest civilian honor, the “Order of Three Stars” (“Per Aspera ad Astra”) for his merits of developing Rock & Roll music and for popularizing Latvia’s name around the world. Today, Pete Anderson & The Swamp Shakers are a fan favorite around the world. 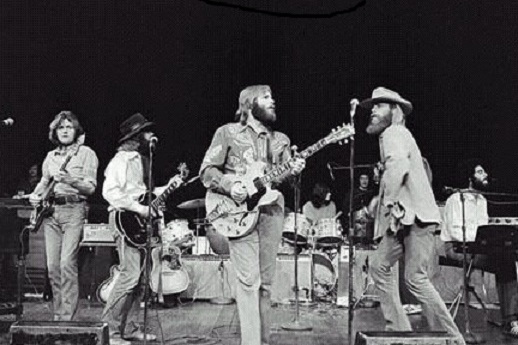 In the film, Pete is seen performing with the Nitty Gritty Dirt Band in Kansas, in a reunion with the American musicians who had befriended him while on their 1977 Soviet tour. PETE ANDERSON, who helped pioneer Soviet and Latvian Rock & Roll, while inspiring his country’s independence movement, has passed away after a three-year hard-fought battle with cancer. In 1958, a young KGB agent, Oleg Kalugin, is sent on his first undercover overseas assignment, as a Fulbright Scholar to Columbia University in New York City, where he is ordered to learn about American people, their culture, and to cultivate informants. As the son of a KGB agent growing up in Leningrad, his family had been allowed to have a shortwave radio. Every night as a boy, he listened to big band Jazz, swing and boogie-woogie. Upon arriving in New York, the adult Oleg, immediately searched out the clubs where he could boogie-woogie and jitter-bug to Rock & Roll. He ends up staying for more than ten years. In his second undercover mission, he was Director of Radio Moscow in New York, and then, he became Acting Chief of Station (KGB Head) at the Soviet Embassy in Washington. Upon Kalugin’s return to the USSR, he soon becomes the youngest general in the history of the KGB, its Chief of Foreign Counter-Intelligence and the # 3 man in the agency. Despite his rapid rise to power, he is infected by Rock & Roll music, its culture and the basic freedoms it fosters. He will then become a critic of the KGB’s internal policies, a democracy activist and a key figure in the eventual collapse of the Communist Party in the Soviet Union, and move to the United States where he wrote a book on his life in the KGB. One of the young officers under his command in the 1980s, named Vladimir Putin, has subsequently tried Kalugin in absentia as a traitor to Russia and sentenced him to death. In the film, Kalugin speaks eloquently how the soft power of culture may take longer to topple an opposing system than military battle, but that it is more effective in the long run. The Plastic People of the Universe rock band formed in Prague, Czechoslovakia in 1968, the same year as the Soviet invasion of their country. From the beginning, they were a band aligned with and supported by Czech intellectuals: the arts, theatre and culture communities. For the first several years, they performed almost exclusively an anti-establishment repertoire of Velvet Underground, Frank Zappa, and Captain Beefheart. This music was considered anti-socialist by the Ministry of Culture and their official permits to perform were revoked, causing them to move underground. When saxophonist and lyricist Vratislav Brabanec joined the band, it was under the condition they perform exclusively in the Czech language, with original songs whose avant-garde lyrics would be written by Brabenec and outlawed Czech poets. As their Czech lyrics were now fully understood by the Czech masses and were influencing the citizenry away from communist ideology, they built a broad base of support with dissidents across the nation. The government perceived them to be more than just anti-socialists, but a significant threat to the communist system and a direct challenge to the government. In 1976, Brabanec and the band’s manager were imprisoned for eight months without a trial as Enemies of the State. During this period, internationally renowned Czech playwright, Vaclav Havel began a letter writing campaign to influential people around the world, asking them to write letters of protest to the Czech government to release his friends. The international pressure caused the government to release Brabenec, but their manager would stay imprisoned for nine years. Upon Vratislav’s release, he became one of 252 signatories to the Charter 77 freedom manifesto spearheaded by Vaclav Havel. When the band decided to secretly resume giving concerts at private farms, which they believed would be far away from the government’s radar, each farm, with its home and buildings, was then immediately burned down or destroyed by Czech military tanks after the concerts. For more than two decades, the Plastic People of the Universe withstood the constant ordeal of oppression, while becoming the soul and inspiration of the Czech independence movement. After his release from prison, Vratislav was continually arrested and tortured by the secret police, and finally in 1982, he was given the choice to return to prison, or to leave his homeland forever with his wife and daughter and only the clothes on their backs. Eight years later, his friend and ally, Vaclav Havel would be elected President of the free and independent Czechoslovakia. Brabenec eventually returned home with his family and helped reform the band, which still performs and records to this day. In the film, Vratislav Brabenec tells of his story and that of the Plastic People of the Universe. In 1961, in Riga, Latvia, Valery founded his first band, the Revengers, who are acknowledged in Artemy Troitsky’s book, Back in the USSR, as the first rock band in the history of the Soviet Union. The band initially had to play with acoustic guitar and bass, because the sale and manufacture of electric guitars was prohibited in the USSR. However, within a year, Valery and a friend from electronic school, invented and began making homemade electric guitars and basses, while `borrowing’ the wires and magnets from Riga’s public pay phones to serve as the electronic `pick-ups’ placed under each string of each instrument (six pay phones for six strings of each instrument!). Within one year, there were no operational public pay phones in Riga! As an illegal and unofficial band, the Revengers popularity grew as they performed underground in unauthorized venues in Latvia for four years before “Seitsky” was drafted into the Soviet army. Seven years after Valery and his friend invented the first Soviet electric guitar, and article appeared in the Soviet Popular Mechanics magazine, that obviously went unnoticed by the Kremlin’s censors. It described Valery’s invention and showed diagrams on how to make the guitar. By 1969, the international press reported that no one could find an operational pay phone in Moscow!! In 1974, Valery managed to emigrate out of the Soviet Union – first to Italy, and then to America, eventually ending up in San Francisco. He became the lead singer in the first Soviet rock band in America Sasha & Yuri, who toured with Bob Seger, The Band, Eddie Money and Blue Oyster Cult, while being featured on major national news shows, including Walter Cronkite, and co-starring on the ABC concert show “Midnight Special.” Since that time, Valery has operated successful recording studios in San Francisco and San Diego, was also mentoring a young rocker named Eddie Vedder. He has released two albums in the past two years with his new band Elektrik Tank, which includes their single “Red Hot Lipstick” which is feature in the film. Valery is featured here in a recent interview at the ROCK AND ROLL HALL OF FAME in Cleveland, where he discusses the power and influence of American rock and roll music in the world -- from the 1950s till today. The song "Rock With Gorby" was written by Valery in 1987 when he heard that Mikhail Gorbachev would be visiting the United States for the first time. It was written as a spoof and in friendly humor. The song was played on KGB 101, a San Diego rock station, on the day "Gorby" arrived, and it continued on the station's rotation all throughout his visit. Dean Reed may have been the premier example of an American Rock & Roll Rebel, though his entertainment success in America was only a brief moment in the late 1950s. However, in the 1960s, he would become bigger than Elvis Presley in South America; and to those living behind the Iron Curtain in the 1970s and 1980s he would be perceived as the most famous American in the world. While living in South America, Reed became friends with Chilean protest singer, Victor Jara and Marxist President Salvador Allende. He embraced Marxism and the international socialist cause, and was imprisoned in Argentina for his anti-American imperialist activism. After exiling to Italy and becoming a Spaghetti Western movie star, Reed began concentrating on touring and recording in Eastern Europe and the USSR while becoming the biggest rock star behind the Iron Curtain. By the early 70s, Dean had moved to East Germany, and had become the Kremlin’s Voice of Rock & Roll. Though never joining the Communist Party, he was a sincere Marxist and Socialist and considered himself the Peace Ambassador of the Socialist world. In 1986, while producing, directing and starring in an East German film about the American Indian battle at Wounded Knee, he was found dead at the age of 48 – floating on his stomach in a heavy winter coat in the middle of the summer in the pond behind his East German home. West Germans believed he was killed by the East German security force Stasi, because he was considering moving back to America. East Germans believed the CIA killed him. Some biographers believe he committed suicide, because he felt he couldn’t resurrect his career in America, and he was being viewed as irrelevant in the Soviet bloc with the advent of Glasnost which allowed modern and youthful rockers to appear in concerts. In FREE TO ROCK, KGB General Kalugin offers his understanding that Reed had committed suicide. In 1984, Joanna Stingray, a young and aspiring rock singer from Beverly Hills, California, took a one week trip to Leningrad with her sister -- with no agenda other than experiencing the culture and life in the Soviet Union. While there, she met Boris Grebenshikov, a revered musical poet, who many Soviets called the `Russian Dylan.’ His band Aquarium, was Leningrad’s most popular underground band, whose fan base reached out thousands of miles across the country via the distribution of their illegal home-made duplicated tapes. She and Boris became close friends and he introduced her to the other seminal rock artists from the Leningrad scene, such as Viktor Tsoi and his band KINO, and the bands ALISA and Strange Games. After returning home, she made a quick turn-around, acquired as many useful musical items that she could fit into her luggage and hope to smuggle into the USSR -- to aid her new Soviet musician friends -- and flew back to Leningrad. After each tourist visa expired, she would make another quick turn-around and return to her new-found home with more equipment. She would become the first American producer of Soviet rock music and the first to release an album RED WAVE, featuring Aquarium, KINO, Alisa and Strange Games. In short time, Joanna, who learned to speak Russian and married a member of KINO, would become a television host, a recording artist and well know rock personality throughout Russia. Today, now living back in Los Angeles, Joanna enlightens the viewer of FREE TO ROCK, with her stories of a very special period of time in Leningrad, which she compares to San Francisco in the 1960s. Her sequence in the film, features her home movies of Boris Grebenshikov, Viktor Tsoi and KINO, and ALISA, supported by additional commentary from our interview with Boris Grebenshikov. Read More About Joanna in The Article Red Wave: How Soviet Rock Made it to The U.S.
Bob Santelli is the Executive Director of the Grammy Museum in Los Angeles. The museum is our partner on the film project, and Bob serves on our Board of Advisors. Currently, Bob also serves as Executive Director of the National Music Museum Alliance. Previously, he was CEO and Artistic Director at the Experience Music Project in Seattle, where he created over 30 exhibits, many of which traveled throughout the U.S. and Europe, including the groundbreaking Bob Dylan’s American Journey, 1956 – 1966. While Vice President of Education and Public Programs at the Rock and Roll Hall of Fame and Museum, he created many educational and public programs including the American Music Masters Series, the Hall of Fame Series and the Oral History Project. A noted blues and rock historian, Santelli has authored and edited more than a dozen books, including: The Big Book of Blues; The Bob Dylan Scrapbook; Sixties Rock: A Listeners Guide; American Roots Music; Hard Travelin'; The Life and Legacy of Woody Guthrie; his popular 2006 effort, Greetings from E Street: The Story of Bruce Springsteen and the E Street Band; and his 2012 work, This Land is You Land: Woody Guthrie – Journey of a Folk Song. Santelli has also written numerous articles for Rolling Stone, CD Review, Downbeat, Backstreets, New Jersey Monthly, the New York Times, Asbury Park Press and The Cleveland Plain Dealer among others. He was an advisor to Producer/Director Jim Brown’s Emmy-nominated American Roots Music series in 2001 and co-edited its companion coffee table book for Rolling Stone Press. He also enlisted Brown to produce five films for the GRAMMY Museum; and they have collaborated on filming oral history interviews of legends in the music industry for the National Music Museum Alliance. In the film FREE TO ROCK, Bob speaks of the impact of Elvis Presley and the historic importance of the Plastic People of the Universe.